This page: Bodmin Jail it's Ghosts and Phantoms. Manifestations apparitions, sightings and paranormal activity at Bodmin Jail - Cornwall. Ghost of Bodmin Jai l- Bodmin Gaol,Bodmin Prison , HM Prison Bodmin in Cornwall. When destiny had turned its last evil trick and an innocent man is left lost in limbo far beyond death in the dark & sinister underworld that is the great jail at Bodmin, his ghost may flee and the crushed will of his spirit be left stranded and forgotten. All hope for the man has finally been destroyed and a mere mortal spirit left abandoned to fate. A desperate soul, cast into hopeless misery and left endlessly wandering. Here in the great Gaol of Bodmin where the bitter and condemned would grasp for one last hideous breath, just listen. Listen to the screaming silence as another earth bound phantom searching for everlasting release, is cast into his eternity. Phantoms and ghostly spirits still seem to inhabit the decaying cells here in Bodmin Jail, adding to a desperate & almost threatening silence. A silence that still exudes every ounce of pain and forlorn hope of its long forgotten inmates. With its dark forboding walls bearing witness to the desperation and terror of the convicts inhuman incarceration here. Beneath you, the satanic darkness of Bodmin's great dungeon's lifeless heart creeps all about your like a choking mirror of misery. So stand here, quite alone and in the dark of a Bodmin jail cell and listen to its fear. Eerie it may be, awe inspiring it certainly is but one thing is utterly undeniable. You can sense real presences here. You are certain that you can hear the shuffling pain ridden bodies still searching for help at every turn, deep in the bowels and lightless corridors of Bodmin jail. Reach out into that darkness and you can almost touch the will of the hands of a hundred desperate, hopeless men. Their spirits trapped in time between the prison workrooms and the disperate cells. Not a sensation and much more than a feeling, it seems a forboding reality. One that is felt rather than seen here and never more so than deep within the oldest cells of the gaol, in Bodmin prison block's dungeons, built for revenge against the wrongdoer's in King George’s time over two hundred years before. Serious minded visitors to Bodmin jail from all around the globe, not just the hedonistic ghost hunters who come here, are driven here by a deeper, more unknown and unseen will. This will be presented with indescribable feelings of déjà vu, an almost uncontrollable feeling of certainty that they have been here before. This is an all too common occurrence that often falls upon people with a devastating reality the second they enter Bodmin jail's confines. How do they know what lies beyond the next dark turning? Who knows, but many certainly seem to. Have they actually been here in a different life? You may ask, if you were, then as keeper or the kept? Senior Bodmin prison guide and local historian Mark Rablin, an expert on Bodmin Jail and its history tells the same story to the inquisitive visitor to Bodmin Jail all too often. They feel a real and tangible presence of 'belonging to this desperate place' which is inexplicable. Paranormal psychologists take Bodmin jail very seriously too, as do gifted psychic mediums and ghost hunters alike who have made Bodmin jail a focus of their attention, their entertainment and serious study over the years. Though there are inevitably the fabricators and glory hunters out there who want to be associated with any exceptional hot spot of paranormal activity and Bodmin Jail is currently one of Britain's hottest, they can and have made a mockery of the issue, as is well documented on the internet. One can only smile and pity them! The real experiences and encounters which have been recorded by individuals, groups and visitors to Bodmin Jail however, cannot be pushed aside. So let's take a deeper and more detailed look at some of the stories that make Bodmin Jail so special. Are all ghostly apparitions just illusions? Can those amongst us who are not cranks, glory seekers or demon worshippers, who see and feel very real and eerie presences at Bodmin jail all be delusionist? Are Bodmin jail's ghosts and spectres just a result of fickle human daydreams or claustrophobic ghostly hallucinations? I think not. Clearly not all ghostly apparitions and paranormal sightings here in Bodmin jail can be swept away at the stroke of a pen. But rational explanation of a paranormal encounter with a ghost or apparition is not always available to explain away the often illogical and irrational phenomena of such a psychic experiences exist. And in Bodmin jail there have been many, many sightings of ghosts. 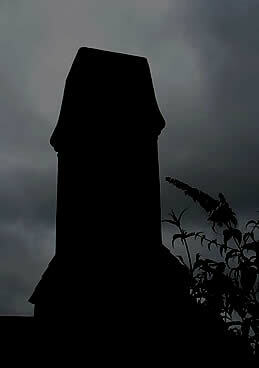 It is true, darkness can indeed be the harbinger of fear and in Bodmin jail, darkness there is a plenty. Fear itself can be uninhibited and run amok in the darkness, bringing with it all manner of self inflicted imaginings and manifestations. After all the mind is a deep and puzzling entity itself. Deep underground in the cells of Bodmin jail though, one feels an almost oppressive tingle of the prison's sordid history and it's easy to sense and almost touch the reality and terror of its distant and long forgotten inmates. The date was the 15th of August 1878. This is the day that Selina Wadge was indicted and later incarcerated at Bodmin Jail under the sentence of death for the murder of her illegitimate child in Altarnun near Launceston in Cornwall. It was expected by many, including the Governor of Bodmin jail, that Selina Wadge would be reprieved at the last moment by the British Home Secretary, Viscount Cross, on the day of her all too public hanging at Bodmin jail. The honorable Home Secretary, in his infinite wisdom; "Did not see fit to interfere with British justice," and the reprieve simply did not come. This blatant refusal of clemency caused some serious rumblings amongst many commentators of the day and indeed Bodmin's own prison officials, who considered that Selina Wadge may in fact have simply been mentally ill. Questioning the notion that perhaps Selina Wadge was a woman that wasn't mentally responsible for her actions in committing the crime of murder in the first degree and just a Bodmin jail prisoner who should have been simply sanctioned and packed off to the Bodmin Asylum and not the dreaded gallows! In the day, perhaps had the sharp eared lawyers of today's times been around, they may just have have got her off with a lesser sentence. But why? The utterly stupid and quite unsupportable stories which she told in her defence and which came out in damning evidence against her is one thing. One witness citing in an interview that Selina Wadge's four year old son had spoken out against his mother when she was telling the witness that her boy had died of a throat infection aggravated by an abscess and that he had been buried in the churchyard. The little lad chirped up, "No...it is in a pit mother!" Well, that condemnation was taken as absolute proof and delivered out of the mouth of a four year old! Whether this evidence is indeed actually or should be seen as hearsay or even it should be admissable in court is a question to ask yourself? But it was certainly accepted by the magistrate and taken into consideration at her trial and contributed in a major way to the final guilty as charged decision of the judge. The judge's blooper in sentencing her was something else though. Now, here is a senior magistrate who had heard a lengthy and detailed case implicating Selina Wadge in the wilful murder of her two year old son by throwing him down a well and drowning him. Even so. A reasoned conclusion as to her guilt was reached by a jury of twelve men who made a point of asking the judge to have mercy on her soul as they did not feel the murder was in any way premeditated. The judge didn't agree. After all, he disagreed with a lot of things. "Selina Wadge. You have been found guilty upon evidence which is impossible to resist, of throwing the body of your child, two years old, down a well. This could have been done with only one intention." It seems rather clear that in his statement, the judge got mixed up and now felt the child was already dead before he was thrown down the well and as Selina Wadge had been found guilty during the trial, of killing the boy by drowning him. That being the case, she couldn't have killed him twice! So did he really understand what this case was all about! A miscarriage of justice, inadmissible evidence, a deranged accused who may have actually been mentally unsound or otherwise? It hardly matters now, because Selina Wadge was about to pay for this crime. History records that a solemn but utterly repentant Selena Wadge climbed the gallows stairs and entered the Bodmin Jail scaffold with a "tolerably firm step" and "great dignity, gently sobbing and asking for divine forgiveness, grasping her handkerchief tightly in her hand." At the exact stoke of eight in the morning, Selina Wadge was clearly heard to say, "God deliver me from this miserable world." And William Marwood, her executioner, mercifully released the bolt which plunged Selena Wadge eight feet into her eternity. Mark Rablin, the paranormal expert and senior guide at Bodmin jail has on many occasions been asked by children visiting the jail with their parents who the lady in the long dress is that they saw crying in the jail cell. He also recalls that some pregnant women visitors often get very emotional when on the 3rd and 4th floor. Utterly unexplainable to you and I but Mark has his own explanation. On a more light hearted note, one has to question simple logic and the reasoning behind any of the ghost stories surrounding Selina Wadge & simply ask why such a repentant, religious woman, one imminently facing her maker, a God fearing woman who had displayed such forgiveness to her partner for his part of deceiving her and which contributed to the act of murder would be left in limbo by her God, in some terrible place betwixt heaven & hell and would now be appearing as a ghost traipsing around Bodmin jail at every ungodly hour - haunting the daylights out of pregnant women and scaring children to death! Of other Ghosts, paranormal apparitions, manifestations and spirits that seem to be haunting & manifesting themselves in the old jail in Bodmin, there are plenty of stories and sightings to examine. Matthew Weekes, the so called killer of Bodmin Morr, is a regular ghostly visitation seemingly manifesting himself within the walls and confines of Bodmin jail. A young Matthew Weeks was executed in Bodmin at the jail in 1844 for the alleged murder of Charlotte Dymond near Bodmin moor's Rough Tor near Camelford. That story too is well told a thousand times over. 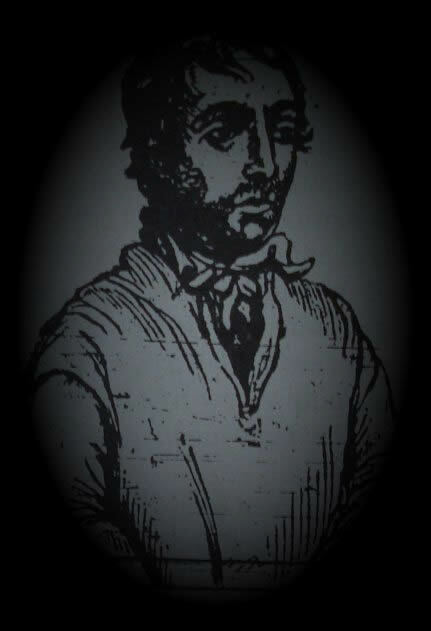 The pitiful ghost of Matthew Weekes is said to wander aimlessly throughout the darkened hallways of Bodmin's jail, having been hanged on the drop gallows erected outside the walls of the great prison for murder. It's also firmly believed and a tale often told by locals, of how his ghost wanders in limbo within the confines of Bodmin jail having died for a crime that he knew he didn't commit! Though a confession to the crime in which Charlotte Dymond, a flirtatious local girl had been brutally and hideously murdered, her throat cut twice, was produced after his execution, it goes completely against all the evidence provided at the trial and proves that Matthew could not have written it himself. The poor man was totally illiterate, pointing the falsification of that document rather alarmingly at those whom would have had direct contact with him in the days before his death at the prison! Perhaps this is why the terrified and frustrated ghost of Matthew Weekes now roams the grey granite corridors, still lost in time and is still searching desperately for an answer. The Warden Ghost of Bodmin Jail. Another top ranking ghost on the spectre list appearing regularly at Bodmin jail in Cornwall is said to be that of the fine spiritual ghost of a Warden named George. 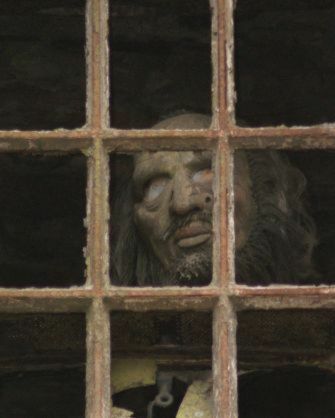 The ghost, nicknamed fondly the warden ghost of Bodmin jail, is said to haunt Bodmin jail's darkened hallways and is experienced by many a visitor regularly manifesting himself in the old Bodmin cell blocks and on the cold, dark stairs. The story goes that in a previous life, Bodmin jail staff member 'George' suddenly died from a heart attack whilst on duty at the prison and he now keeps a ghostly and ever watchful eye on what he considers to be "his jail" at Bodmin. 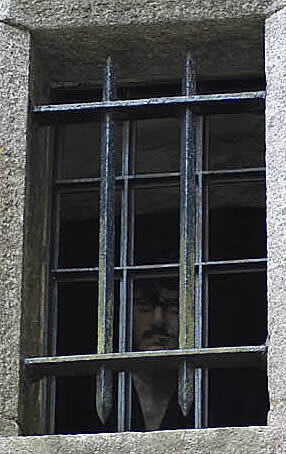 Fortunately if the tale is indeed true, there are only a few people in Bodmin jail's unique history that this ghostly spectre could realistically be. One past life identity for our ghost warden's manifestation would be the civil prison Governor - Mr George Colvill who was at his administrative post in Bodmin jail from 1860 to 1878. Frankly, most ghost hunters visiting the jail think or thought it was probably his earth bound spirit that haunts the halls ! The problem with identifying George Colvill as the earth bound ghost figure which is seen so often in Bodmin's dungeons, is that Mr Colvill's Christian name was actually Hugh and not George at all and Hugh in fact died on the 4th of August 1906 at the ripe old age of 84. Do the mathematics here then and it's obvious that this is a full twenty eight years after he retired from Bodmin jail where he obviously couldn't have died as suddenly as the story goes! And he was not a Warden either, he was the Governor. But he was the boss. So I fear, not him. 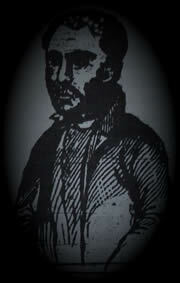 Our number two ghostly culprit is a man called George H Sandford. Now George Sandford was a warder in the old Bodmin jail in the 1870's but what is known about him is that he died in Bodmin at 84 years of age too. So not of a heart attack suddenly at Bodmin jail either. He'd retired from Bodmin jail years earlier and moved on into town. Ghostly manifestation number three may be the gatekeeper ghost of George Shaftain. This George was the colourful gate man at Bodmin jail born back in 1824. But surely it can't be him either as he died nearing 68 somewhere up in north Devon. So who is the Warden Ghost of Bodmin jail? The fourth spectre manifesting himself in the Bodmin jail ghost ID parade is a much more likely manifestation candidate. Now George was a 'Warder' in Bodmin Jail and not a 'Warden,' but that may just be a semantic error on behalf of those who report seeing his apparition and talking to him and of no significance really. Warder George Harrison worked at the jail in the Victorian decade between 1851 & 1861 and did die young it seems at the age of just 50. As records have it, that came about quite suddenly in 1861. But how, or where he died, we just don't know. Maybe the next time the Warden Ghost of Bodmin Jail is confronted face to face by a ghost hunter, or a psychic investigator he should be specifically asked his identity to clear up the issue for once and for all. Eerie this, non the less! Perhaps public ancestry records will tell the truth. That is if you have the time and are signed up to get them? Self manifesting spooks, spiritual apparitions, ghostly entities, or lost phantoms still haunting the jail since their incarceration here two hundred years before us, believe in them if you will? Spooky it is here though, day or night. That's without a doubt, as any visitor to Bodmin jail will attest to. And here in the depths of the jail, there is little separation between day and a perpetual night and the appearance of her ghosts and spirits has no boundary separated by either. All too common come reports of orbs and speeding pinpricks of light following on behind you and in some cases leading. Some disturbing poltergeist activity reports have gained recognition of late by some paranormal investigators, telling of angry spiritual encounters at Bodmin jail. Encounters where investigators have experiences serious physical hardship including great nausea, a depressing dread and deep, cold fear. Other paranormal observers report a perpetual cold sweat and in some cases a deep and fearful dread. Some ghost hunters and paranormal investigators also claim that unseen hands have left wields and marks on their backs, arms, legs and shoulders which cannot be accounted for in any normal way. Well I for one can't imagine the lost soul of an inmate or friendly ghost of a prison warder getting himself anywhere in the after life by taking it out on innocent visitors. So there is probably some perfectly reasonable explanation as to how the damage was done. Forget about it I say. The brutal robbery and murder of Neville Norway, a timber merchant near to Bodmin on Saturday 8th of February 1840 is well documented historically. Nevile Norway, having visited Bodmin market that day was seen to have a considerable sum of money about his person and he left Bodmin for his home in Egloshayle at about ten o’clock in the evening. It is believed that Mr Norway was followed and at an isolated spot on the Bodmin to Wadebridge road, just a little further down the lane from the Pencarrow estate, he was ambushed, bludgeoned to death & robbed. Two brothers, James and William Lightfoot were later arrested and convicted of the crime and publicly hanged at Bodmin jail. Stories are told of Ghostly apparitions sighted at Bodmin Gaol a which may be the earth bound spirits of the Lightfoot brothers who happened to have been illustrated at their trial and published in the Cornish press. Little known however, is a far more spooky yet remarkable story of the incredible premonition surrounding Mr Norway’s death at the hands of his murderers. Captain Edmund Norway, Neville Norway’s brother was the master of the merchant ship Orient en route from Manilla to Cadiz at the time of his death. On Saturday 8th of February 1840 the day of Neville Norway's murder, the ship was positioned some seven miles off the island of St. Helena in the south Atlantic Ocean, when Captain Norway woke up having retired early about eight pm. in readiness for a 4 am watch. He woke with a dreadful start having suffered a terrifying nightmare. “Mr. Wren: I had a dreadful dream. I dream't that my brother Neville was murdered by two men on the road from Bodmin to Wadebridge. One fired a pistol twice but I heard no report. On Sunday February 9th, 1840, just a day after the murder, with little else to report, Captain Norway recorded his dream and the conversation with Wren in the ship’s log. The island of St Helena is one of the most isolated places in the world and some 4,500 miles away from England and by sail, if you're lucky, a journey of about 2 months in duration. It is one hour behind England in time. Of course there were no radios or telegraph communications in 1840 as they hadn’t been invented nor was there any other available source of contact for thousands of miles between ship and England. Captain Norway’s dream seems to coincide near exactly and at the same time given the time zone differences, to the death of his brother and his description of Neville’s death recorded in the ships log is uncannily accurate to that of the crime!!! Note: The captain was not to learn of his brother’s death for a further 2 months and upon his return to port. Was the ship’s log written up and fabricated after his arrival back in the UK for reasons best known to the Captain? Perhaps for self gratification or even financial gain through the interest of the British press or for the morbid entertainment of those close to him to whom he could relay the story? Or is the entry in the ships log hideously accurate and rather frighteningly - real! Many unexplained things go bump in the night at Bodmin Jail. With reports of stones being thrown by unseen hands at people wandering in the old Naval Block, eerie touches against the face, cold gusts of wind experienced in sealed basements and cells and an overpowering feeling of dread reported by some visiting its dungeons. Photographs taken by the brave who go there in the depths of night have unexplained blurs appearing in solid immovable corridors, misty orbs of light appear all too often and confusing shadows in which it is easy to imagine human forms. Do the souls of Bodmin's prison inmates still haunt its shadows? Will the restless spirits ever be freed from their torments? And will one day, real and conclusive proof be exhibited to an unbelieving world of the supernatural experiences of the great Bodmin Jail. For the simply misguided or those amongst you who have visited the jail buildings at Bodmin and thought they'd actually seen a ghost or two that no one else in the world had captured on film but you..... I am afraid, some disappointing news. The ghostly face in the window that looks remarkably like Boycie (John Challis) in the BBC series 'Only Fools and Horses.' Isn't a ghost! Neither is the other spectre look alike a ghostly convict! Unauthorized use of the text and images illustrated is prohibited and protected under international laws of copyright.